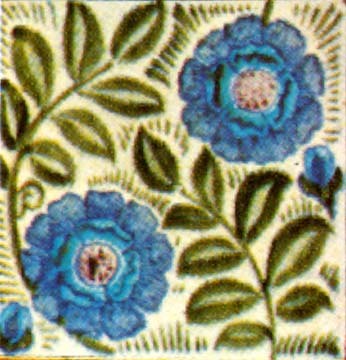 Stylized Tudor rose and leaves in four colours. William Morris and Company. [Exhibition Catalogue] London: The Fine Art Society in association with Haslam and Whiteway Ltd, 1979. No. 90.